While everyone compares business to chess, only a few people can teach the game's most profound lessons. Here, Justin Moore, CEO of the cloud company Axcient, does just that: In conversation with David Zax. 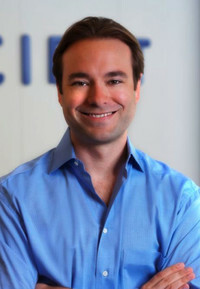 Justin Moore is the CEO of Axcient, a rapidly growing cloud services provider. Moore, now 31, is also a former star of the youth chess circuit. At 10, he found a chess book in his mother’s cabinet; by his teenage years, he was one of the 20 top-ranked youth chess players in the United States. With the seriousness of an athlete, Moore played chess for several hours every day for half a decade. Moore doesn’t play much competitively anymore; by his college years, he was “probably a bit burnt out,” he confesses. Even so, the kinds of thinking that his days as a chess prodigy taught him has deeply informed the way he runs a successful startup. In a sense, Moore does still play chess every day--by running Axcient. We caught up with Moore to extract a few lessons about how to apply the grandmaster mindset to the world of business. In a chess game, your mind is constantly running permutations of decision trees. In business, your mind should be doing the same. A chess match is a war of attrition. If a soccer match is egregiously lopsided at halftime, the game still progresses, but if White accidentally loses his queen a few moves in, it’s likely he’ll resign. This means that a properly matched chess game is often fought out to a point where only a few pawns, pieces, and the opposing kings remain--a bare-board state known as endgame. In a real sense, the entirety of a chess game is all a prelude to endgame. So, too, in many sectors of business, in which many competitors vie for one or a few dominant, winner-takes-most slots (pending SEC approval).”You’re looking out a year, two years, three years,” says Moore. “Sometimes that means in the short term you make sacrifices.” You might make a tactical decision that appears to put you behind, but actually strengthens your position for when the smoke clears, and each side’s knights and bishops have fallen. It's easy to chart a course to endgame; it can be difficult to stay on it. The annals of chess grandmasters are replete with stories of those who obsessively studied their losses. “In every single game,” says Moore, “you learn something.... ultimately you have to take all the lessons from every match you played.” Those earlier losses will be part of your mental makeup on the eve of a later victory. AFTER THREE MONTHS OF WANDERING THROUGH THE WEEDS, MOORE’S TEAM REALIZED THAT A BETTER PREDICTOR OF CUSTOMER SATISFACTION WAS THE TIME IT TOOK TO RESPOND TO A CUSTOMER REQUEST. “The vast majority of startups will fail,” says Moore. You have to believe that yours won’t. But part of you has to know, too, that though “it’ll sting, and part of me will be devastated” if yours does fail, ultimately any battle scars will make you stronger and smarter for the next venture. 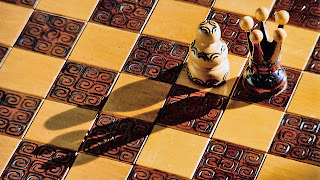 Playing chess teaches you to recognize patterns: the tempting bishop sacrifice that actually led you into a trap, the queen swap that looked favorable but prevented you from castling. You play, you learn. In 2011, Moore's team was trying to improve customer satisfaction. They worked from the assumption that one metric in particular--case backlog--was the best predictor of customer satisfaction. It seemed reasonable to assume that if you had low or zero backlog, then your customers would be happy. “It turned out we were wrong,” says Moore. After three months of wandering through the weeds, Moore’s team realized that a better predictor of customer satisfaction was the time it took to respond to a customer request, combined with frequency of updates. For months, Axcient had been focusing on the wrong metric. Rather than labor under a false assumption for months, Moore and company quickly recognized a pattern--they needed to question and refine their metrics. They rapidly determined that while time-to-response mattered, Axcient customers also deeply cared about getting access to a live Axcient employee. “Now when people call Axcient, in a matter of minutes, they’re connected to a live person,” explains Moore. Crucially, Axcient put this fix into place in a matter of weeks, rather than months, having refused to fall into the same trap of relying on a false metric. Axcient has since investigated and tested all of its key metrics, and has overhauled several. A great chess player has a deep awareness of each piece’s role on the board. A bishop has different abilities from those of a knight, and its powers are expanded or limited by a board’s pawn structure.